The Byer of Maine Traveller Lite travel hammock - Wild Blue Yonder is a full size, light weight hammock at a great price. Generous dimensions are combined with a strong parachute polyester fabric that make this the ideal travel hammock! Great for hiking, camping, or day trips to the beach. Pairs perfectly with the MicroRope for an easy and lightweight hanging system. 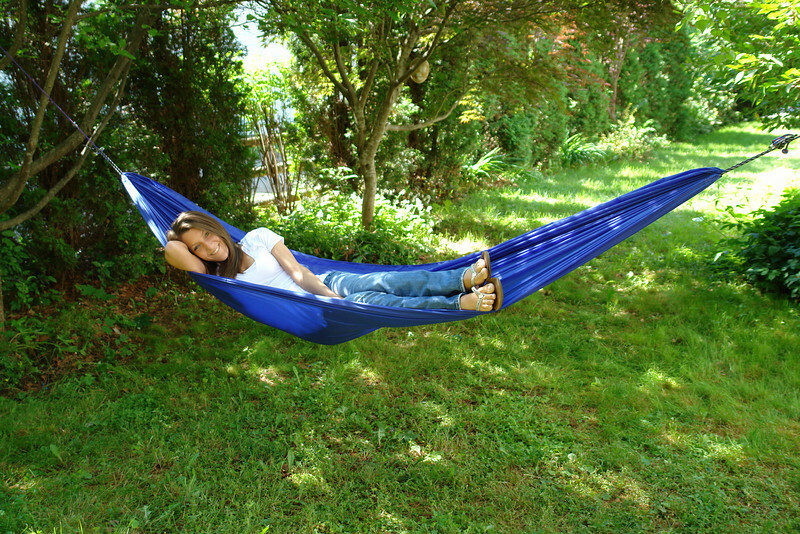 Hammock has a built-in carry pouch that folds into itself. Micro rope will fit in pouch also. Just grab and go!